Remembering Reginald William Onyett who died on 11 November 1917. Age 21. Private R W Onyett, Suffolk Regiment, 15th (Suffolk Yeomanry) Battalion, age 21, remembered by Linda Orams. Remembering a great uncle, we will always remember you. Serjeant G E Andrewes, Middlesex Regiment, 1st/7th Battalion, age 24, remembered by Shirley Smith. I wish I had known you and had a chance to thank you for everything you gave to us who survive. Nurse Daisy Warnock, Voluntary Aid Detachment, 10th (Glasgow) Detachment attd. 8th General Hospital, age 31, remembered by Victoria Muir. We will not forget your ultimate sacrifice, but will carry you in our hearts. Nursing Sister Henrietta Mellett, Canadian Army Medical Corps, 15th Canadian General Hospital, age 39, remembered by Doreen Preston. Second Lieutenant Sidney Vandyke Hasluck, Indian Army Reserve of Officers, attd 14th King George’s Own Ferozepore Sihks, age 26, remembered by Poppy Puss. Midshipman John Duncan Stubbs, Royal Navy, H.M.S. Aboukir, age 15, remembered by Alice Barrigan. Private R W Onyett, age 21, has been remembered. Serjeant G E Andrewes, age 24, has been remembered. Nurse Daisy Warnock, age 31, has been remembered. Nursing Sister Henrietta Mellett, age 39, has been remembered. Second Lieutenant Sidney Hasluck, age 26, has been remembered. Midshipman John Stubbs, age 15, has been remembered. More than one million Service men and women gave their lives in the First World War so that future generations could live theirs. 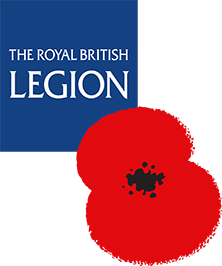 The Royal British Legion is committed to ensuring their sacrifice is never forgotten: search those remembered and continue to commemorate their lives by leaving a short message of remembrance.